As fall colors and cooler temperatures begin to creep into the Tennessee Valley, it’s high time to hit the trails. 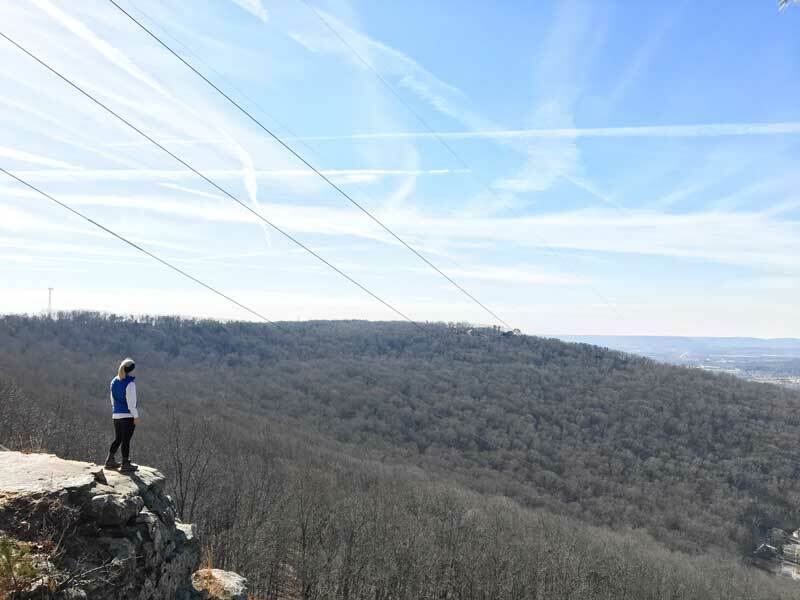 Whether you’re itching for a family-friendly hike or a steep and steady climb on Monte Sano, these trails are sure to please — and freshen up your Instagram feed. 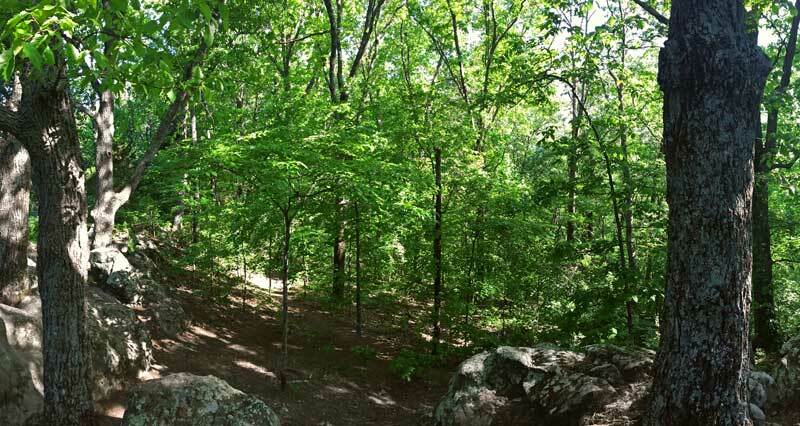 Monte Sano’s many hiking trails are pretty well trafficked and used. Surprisingly though, few locals (and visitors) seem to know about the Stone Cuts trail. 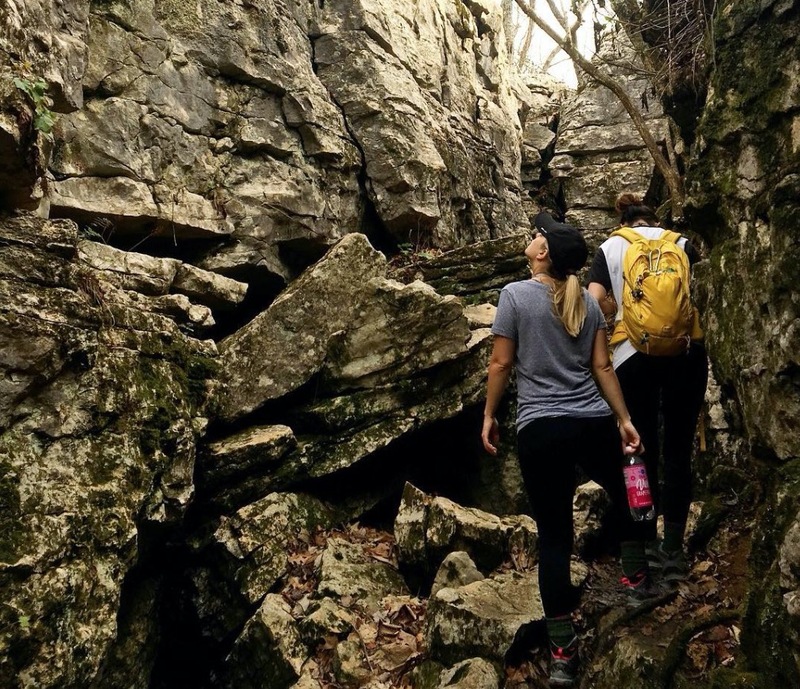 Accessible via the Sinks Trail, the 2.4-mile loop features a series of limestone boulders, natural steps and even a hidden tunnel that seem to appear magically appear as you turn around a bend. For the best photos, plan to go with a group, so you can capture photos of everyone zigging and zagging and climbing up and over all the rock formations. Before Cecil Ashburn closes for construction in 2019, make your way out to Blevins Gap for a hike that truly has the best views of the Rocket City. Just 2.5-miles roundtrip, the hike up the Bill and Marion Certain Trail can be steep, but, then again, sometimes the best views take a little extra work to find. The trail quickly evens out along the bluff, and we have a feeling you’ll spend a good amount of time taking in the view — and posing for Instagram — before you make the climb back down. 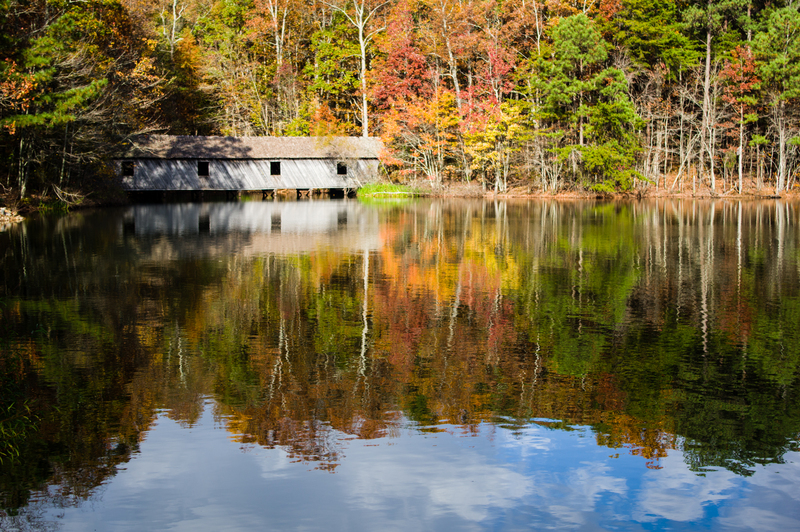 If Henry David Thoreau had had the chance to explore Alabama’s Green Mountain, we have a feeling he would have thought twice about building his cabin along Walden Pond. The 1.5-mile Green Mountain Nature Trail that circles Sky Lake is perfect for families, especially in late October when the fall colors seem to light up the lake. Along the trail, you’ll find plenty of attractions to keep the entire family moving and discovering, including a covered bridge, an outdoor classroom and a private chapel. 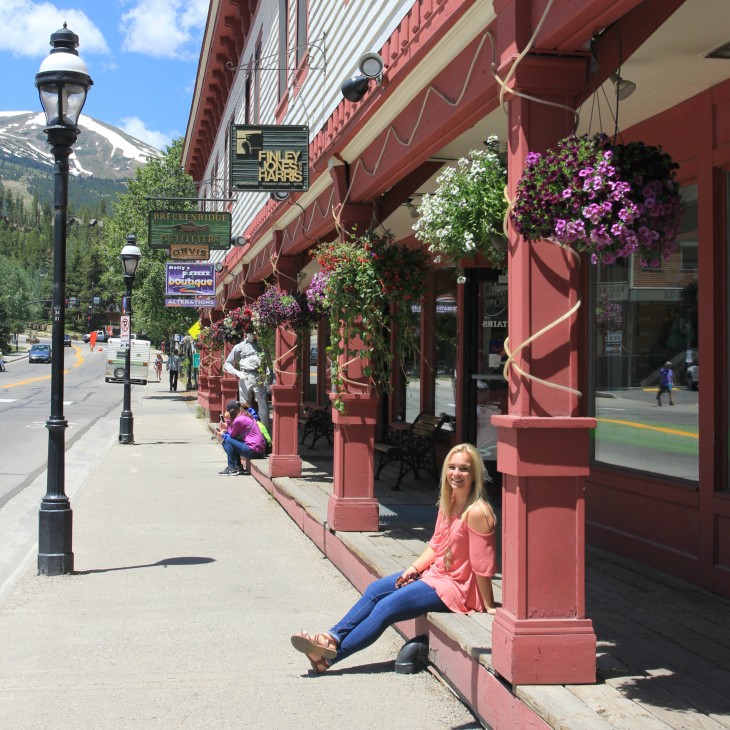 Afterward, settle in for a picnic at one of the many tables near the lake or grab your fishing pole from the back of the car, pay a simple $3 fee and sit on the dock to take it all in. Parents, keep your camera ready — you won’t want to forget a single moment of this hike. 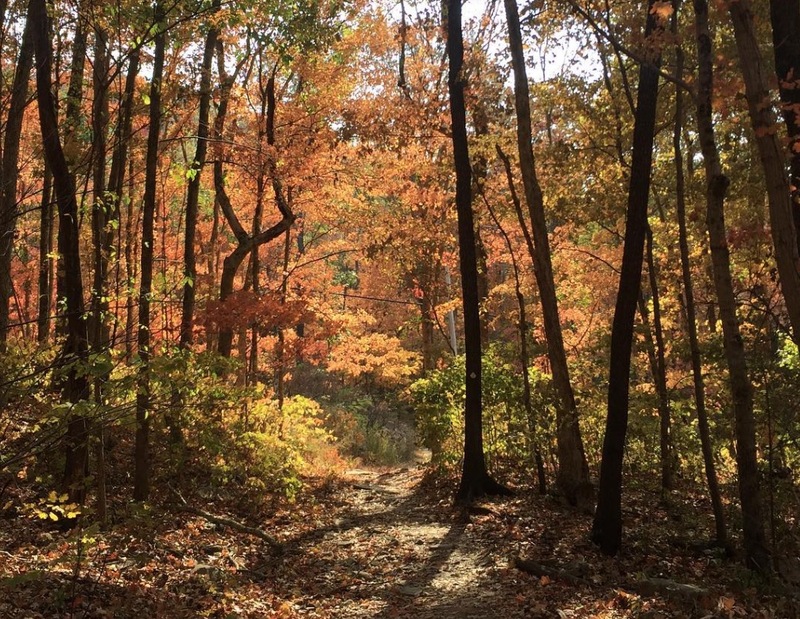 If you’re someone who can’t get enough of fall and its colors, then the trails along Bankhead Parkway should be at the top of your bucket list. The trees seem to be in a competition with one another, each showing off in their brightest reds, oranges and yellows, vying for your attention. For all the leaf stomping and crushing goodness, head out on the Old Railroad Bed Trail. Actually the site of one of the country’s oldest railroad corridors, the nearly nine-mile track was meant to take guests from downtown Huntsville to a hotel at the top of Monte Sano during the 1880s. While the railway was short lived, the track remains, and modern-day explorers can continue to follow its path deep into the woods. If you turn off Hughes Road and through a neighborhood subdivision to the top of Rainbow Mountain, you’ll find a hidden oasis devoid of traffic woes. This 1.5-mile trail is also a loop. A mix of Blevins Gap and the Stone Cuts Trail, the Rainbow Mountain loop trail can be steep in parts and includes (climbable) rock formations. We recommend checking out this trail midmorning when the sun hits the path just right and you can see the dirt path begin to shimmer in the sunlight.